Review for ‘The Share House Project - Open Home’ at the Art, Not Apart Festival 2019 on 16 March. The Share House Project has been selected for the 2019 Art, Not Apart festival in Canberra on Saturday 16 March. THE SHARE HOUSE PROJECT - OPEN HOME is a participatory work, presented inside an apartment on Kendall Lane, NewActon South. We invite you into our OPEN HOME to play with hundreds of copies of the memory drawings we've collected to date. Help us cut them up and paste them together around the walls of the apartment, as we map out the speculative architecture of an enormous but impossible house. OPEN HOME will be refurbished and cohabited with the memories, dreams and ideals that have been so generously shared by contributors. The Share House Project, my collaboration with artist Stephanie Jones, was featured in The Age/Sydney Morning Herald in December 2018.
my short story, ‘tuna mornay’, received an Honorable Mention in the 2018 Zoetrope: All-Story short fiction competition, judged by Colum McCann. I read a chapter from Homesickness, my nonfiction work-in-progress, at Off Track Vol. 7 on 8th November 2018 at Clovelly Social House in Sydney. my fellow readers were Jane Skelton and Nola Farman, who organises these regular readings. Nola was my foundation year teacher at art school many years ago! Thanks to Creative Victoria for a 2018 VICARTS GRANT to fund further development of my creative non-fiction manuscript, Homesickness: Trauma and the Power of Childhood Homes. I was recently awarded a NEILMA SIDNEY LITERARY TRAVEL FUND 2018 grant for a research trip and a Bundanon Trust writing residency in New South Wales. During my time at Bundanon I will work on a chapter of my non-fiction manuscript, Homesickness. Combining old photographs, memory drawings, memoir, literary criticism and original research, the manuscript explores the psychological space of childhood homes. THE SHARE HOUSE PROJECT is my collaborative project with visual artist Stephanie Jones. We are exploring speculative architecture built on the foundations of memory, asking members of the public to contribute by drawing the floor plans of their childhood homes from memory. 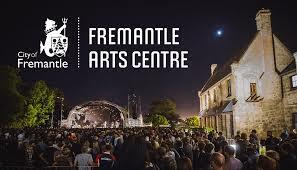 Here's an interview with Stephanie and me describing our collaborative work during a residency at Fremantle Arts Centre in January 2018. In January 2018, I was Artist-in-Residence at Fremantle Arts Centre, where I worked on my literary non-fiction manuscript Homesickness and began a collaboration with artist Stephanie Jones on The Share House Project. Originally published in Electric Literature in January 2017, How not to Speak Polish was selected by Anna Goldsworthy for inclusion in this year's anthology. My non-fiction work-in-progress manuscript Homesickness was selected for the Hardcopy Program 2017.